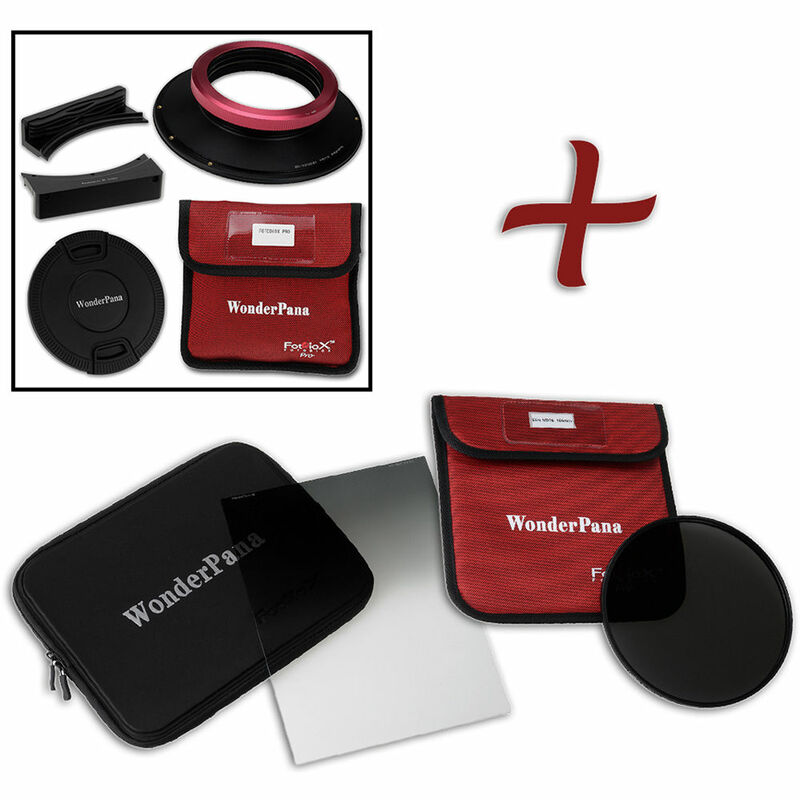 This WonderPana FreeArc XL Core Unit Kit from FotodioX includes a WonderPana FreeArc XL Core Unit designed to specifically fit the Sigma 14-24mm f/2.8 DG HSM Art lens, as well as a WonderPana 8.0" Holder Bracket. Those items can be combined to allow for the convenient use of two 2.0mm thick filters measuring 7.9" wide, or one 2.0mm thick filter measuring 7.9" wide along with one FotodioX 186mm round filter behind it. A compatible 186mm solid neutral-density 1.5 filter and a 7.9 x 10.2" soft-edge graduated ND 0.6 filter are also provided, plus a 186mm inner-pinch lens cap for 186mm FotodioX round filters.